Ma said the US has spent over $14 trillion fighting wars over the last 30 years instead of on deteriorating infrastructure at home. He was critical of Donald Trump's assessment that America is hurting because of the loss of jobs to the Chinese market. Ma said blaming China is misguided and the blame should be placed on US policy and the overblown military budget is to blame. He said they should have spent all of that money building up their infrastructure at home, like China has been doing. 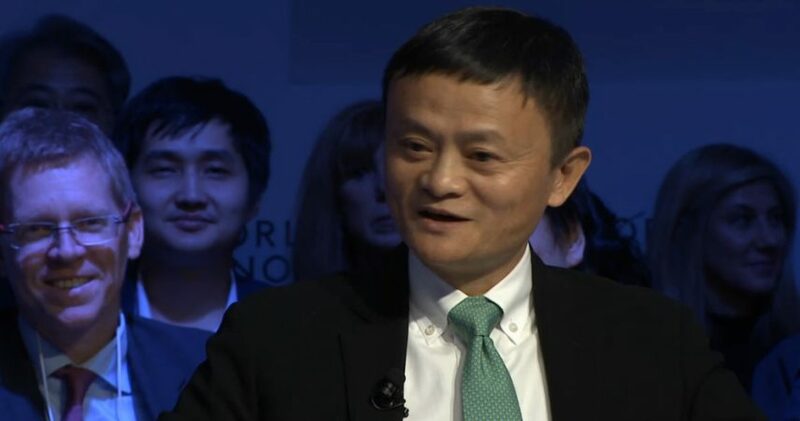 With the US in debt now a whopping $20 trillion and that figure rising over $1 trillion every year, Jack Ma has a very good point. The Federal Reserve is on a collision course with hyper inflation unless it reverses course quickly. The 2008 economic recession will look like a walk in the park compared to the next economic downturn that is on the horizon. With interest rates at all-time lows, never ending deficits, foreign central banks selling US Treasuries at record levels, record high numbers of Americans surviving on Food Stamps, one wonders if this is all a trap for Trump to take the blame for the collapse that is just around the corner. The US military budget, currently around $610 trillion and growing, is larger then the next 7 countries military spending combined, 5 of which are ally's. In comparison to the military budget, the federal government spends $69.98 billion on education and $26.28 billion on transportation. Libertarian minded Republican Congressman Ron Paul warned America about its ridiculous military spending in the 2008 and 2012 Republican Primary debates. "We're under great threat, because we occupy so many countries," Paul said. "We're in 130 countries. We have 900 bases around the world. We're going broke." 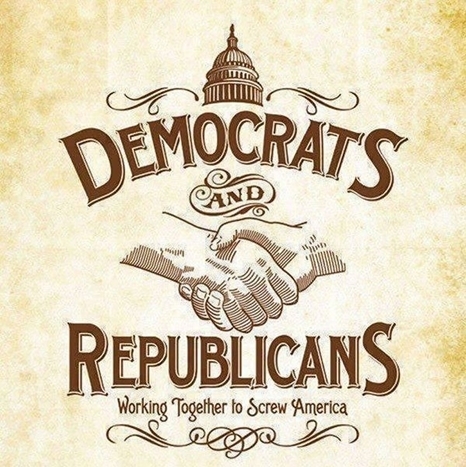 Sadly, warmonger John McCain and later Mitt Romney got the nod, underhandedly mind you, for the Republican ticket. A libertarian minded free market candidate would have done wonders to military spending and overall spending, not to mention the increase to the free market. It is difficult to say where Donald Trump stands on several issues. He does appear to be an authoritarian, wanting to rule every sector of America, just as his predecessors did. His tariff ideas will fail as it will raise the cost of living for millions of Americans. We will always promote the free market as it will lead the majority of people out of poverty and into following their dreams to potentially enrich others lives in the process, through job creation, innovation and technological advancements created by willing individuals. The US political landscape is setup so America always needs an enemy to feed its military industrial complex, oftentimes fabricated. In order for the pentagon to continue to receive the $600B budget, it needs someone to fight, weather that is Russia, Afghanistan, Iraq, Libya, Syria and Russia once again, America is not interested in defending itself at home but it cares more about arming and attacking folks abroad. A major way the US military industrial complex works is the US gives financial aid to dozens of countries around the world, requiring many of them, including Israel, to spend that money on US military hardware, ensuring the US government is not the only supporter of their military industry; although in reality, they are. The money they give to these countries is borrowed from the privately run Federal Reserve who doesn't actually have that money, but they create it out of thin air, which causes inflation and in the process devalues every Americans purchasing power of their savings. 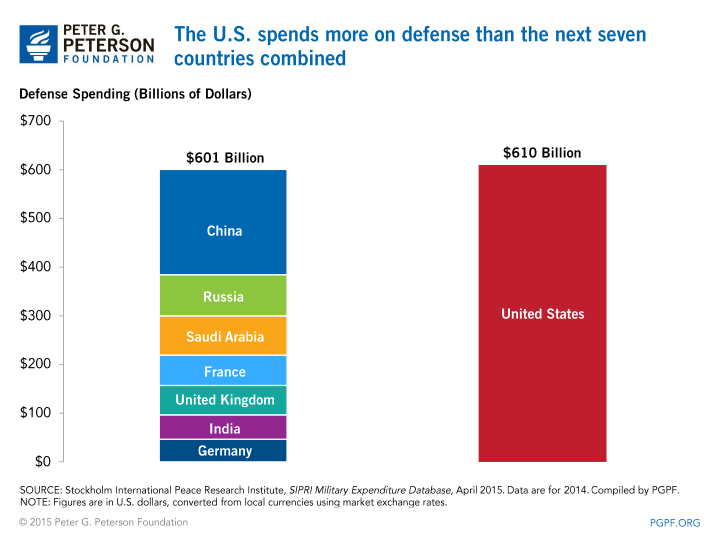 Jack Ma, along with Ron Paul and many others are right about the US not needing such a crazy military budget. They should be focussing on building up their country and helping the free market work at home rather than on fixing (or worsening) everyone else problems abroad.